Some months ago, Valve announced Steam Machines, a range of gaming hardware that would be dedicated to Steam Community. Valve said it would be teaming up with other leading custom computer manufacturers to bring in several third party Steam Machines too. All Steam Machines would run on SteamOS, an open-source Linux-based operating system by Valve that is designed for gaming. The Steam Machine would be a complete living room gaming PC, and to optimize gaming, Valve has also announced a Steam Controller to go along with Steam Machines. Some manufacturers including Valve itself have revealed prototypes of their Steam Machines. As Consumer Electronics Show 2014 is closing in, various manufacturers that have teamed up with Valve are unveiling their Steam Machines. 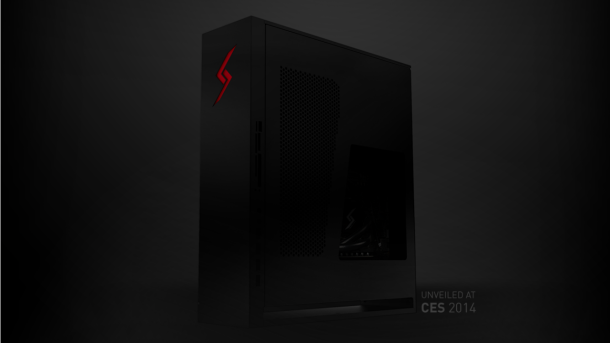 Lately, iBuyPower released a steam machine prototype and now Digital Storm, custom PC manufacturing company has revealed its Steam Machine. Like other manufacturers Digital Storm has just revealed some information about its Steam Machine. Complete unveiling and information would be provided at CES 2014. 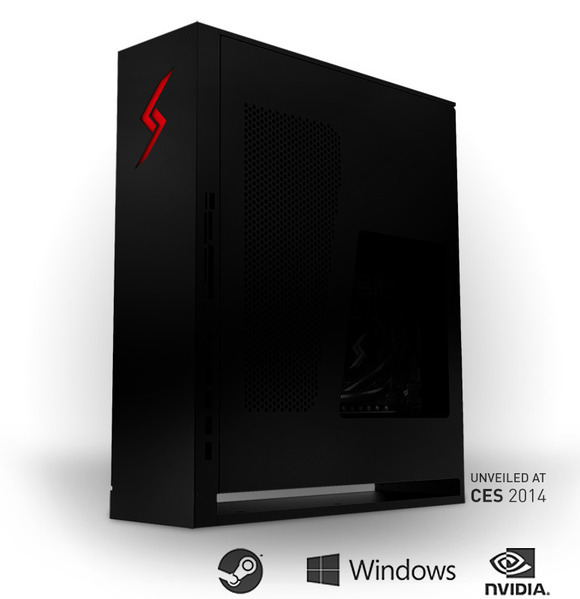 Steam Machine revealed by Digital Storm is a rectangular box standing vertically and bearing a red company logo. The machine would be able to boot both Microsoft Windows and SteamOS. Physically it has slightly larger dimensions than the Xbox One, though it could stand vertically. The machine would cost $1,469 that is about £897. Digital Storm’s Steam Machine is made to support various configurations, it would be capable of supporting a NVIDIA GeForce GTX Titan graphics card and a power supply up to 700W. To keep the heat low, the machine’s CPU would also be liquid-cooled. 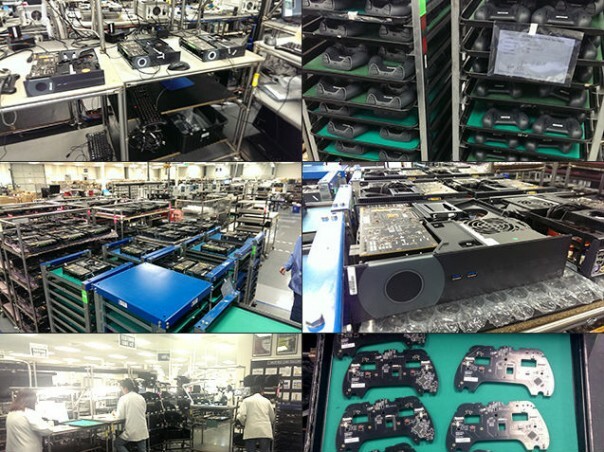 To test the performance of Steam Machines and Steam Controllers, Valve previously announced that it would be shipping 300 prototypes to lucky winners. This would help in removing any hardware and software related problems. The day has come, Valve would be shipping Steam Machines and Steam Controllers to beta testers based in US on December 13, The Steam Operating System would be available to download from the same date. Valve’s gaming hardware would be shipped to beta testers tomorrow. SteamOS would also be available to all Steam Users after the prototype hardware has been shipped. Software would be downloadable by commercial OEMs and individual users, but Valve suggests to wait till 2014 before trying it out unless you are an intrepid Linux hacker. “SteamOS will be made available when the prototype hardware ships. It will be downloadable by individual users and commercial OEMs. (But unless you’re an intrepid Linux hacker already, we’re going to recommend that you wait until later in 2014 to try it out. )” Valve posted in Steam Community. More information about Steam Machines would be provided at CES 2014 that would be held on January 6. Stay tuned for more news on Steam Machines.